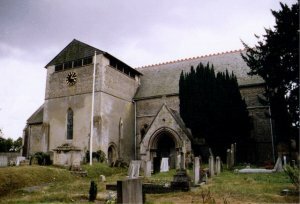 The cemetery and graveyard is the responsibility of the Church of England church, St James the Great in West Hanney. St James the Great, West Hanney. The Graveyard, Cemetery and Garden of Remembrance are managed by St James the Great Church in West Hanney. They are located at the ancient church of St Bartholomew's in the old parish of Layston. Access is along the Causeway which joins Church Street at the ford. OX127LQ(01235) 766484 (Vicar) or (01235) 771479 (Benefice Office)or email.